Welcome to the WOBAM! Entertainment Podcast, where we talk all about the wonderful world of television, film superheroes, and much much more! 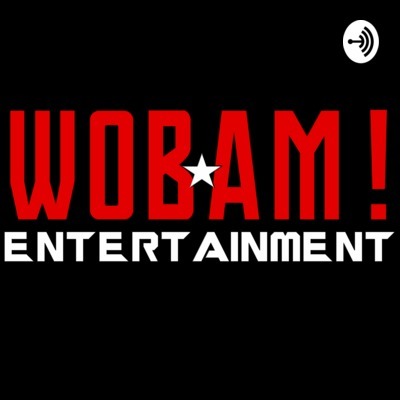 Subscribe, and drop us a line on Twitter @WOBAMEnt to let us know what you think of the show! Welcome to the first episode of the Last Jedi Fansite Podcast! Michael, Landon, Colin, and Nate are joined by our friends from Revenge of the Fans, Katie Gilstrap, Mario Robles, and Aaron Virola. Things get heated in a debate on Star Wars: The Last Jedi. Is this the beginning of the end for the Last Jedi Fansite? Tune in to find out! News news news. This week we saw our first Aladdin trailer, Ezra Miller taking on The Flash script, James Gunn rehired for Guardians of the Galaxy vol. 3, and of course the big one, the trailer for Avengers: Endgame. Michael, Isak, and Brandon break down EVERYTHING. Avengers discussion kicks off around the 50:00 mark if you want to skip. Katie, Michael, and Colin discuss the first Star Wars prequel - Star Wars: The Phantom Menace. Landon is not here for "reasons". We talk about it's place in Star Wars lore, and how it helps shape not only the Star Wars universe, but the future of films in general. We have break down all of the week's news! Aquaman 2 gets a release date, Spider-Man: Into the Spider-Verse and Black Panther take home Oscars, and of course the trailers for X-Men: Dark Phoenix and Detective Pikachu! Katie: twitter.com/kgilstrap13 Colin: twitter.com/CrazyColinKelly Michael: twitter.com/MTjr_15 Website: wobamentertainment.com There's always a bigger fish. Katie and guest Travis Hynes are joined by Michael to talk this week's news and the Doom Patrol pilot! It's fun, it's random, and it's an all-around good time. Just like the Doom Patrol? Ironic. There was an idea to bring together a group of remarkable people, so that they can break down all of Marvel Phase One. Katie, Mike, and John discuss the week's biggest news; plus review every film from Marvel Phase One. Iron Man, The Incredible Hulk, Iron Man 2, Thor, Captain America: The First Avenger, and Marvel's The Avengers. The Titans/Young Justice Recap Extravaganza! Katie, Michael, and Landon review Titans season. Michael and Katie recap the first two seasons of Young Justice while Landon pitches a Lois Lane sidekick. It's totally crash! Landon Beall, Katie Gilstrap, and special guest Matt Vernier discuss all things from the first half of this season's Arrowverse shows. The latest seasons of Arrow, The Flash, Supergirl, Black Lightning, and Legends of Tomorrow, plus the Elseworlds crossover event! Disclaimer: Landon Beall has not seen the Arrowverse shows, so his views and opinions do not necessarily represent the rest of the WOBAM staff. Lois Lane FTW. Anime: it's weird, crazy, and cool, and this podcast, Isak, Landon, and Brandon Alvarado from Revenge of The Fans take a deep dive into all things Bleach, Death Note, Fullmetal Alchemist, Cowboy Beebop, and Akira. The Justice League Unlimited slander Will. Not. Stand. Also, if you've ever wondered if the Death Note could take out Alphonse Elric (that sounds way darker than I intended it to), then this one's for you! With Daredevil season 3 on the way, we decided that we talked about the protector of Hell's Kitchen. Katie, Michael, and Landon are joined by our special guest, the host of the Audioverse awards, the one, and only Colin Kelly! Special shout to the wonderful Megan Gale for allowing us to use her cover of the Daredevil theme. Give her a follow on twitter @MeganGale, and subscribe to her YouTube Channel! Venom is almost here! To celebrate the anti-hero's first solo outing, Landon, Katie, and Isak discuss all things Spider-Man! Ranking the films, the actors, and the possibilities of a live-action Spider-Verse. This podcast will definitely quench your Spidey thirst (or Spider-Man PS4 withdrawals). Avatar Comes to Netflix and Captain Marvel gets a trailer! We finally have our first look at Captain Marvel! Katie, Landon, and Isak break down the strongest Avenger's Entertainment Weekly reveal. As well as news from the first episode of DC Daily. Covering all of the news highlights from the past week. In our second half of our 2018 San-Diago Comic-Con discussion, Landon, Katie, and Michael are joined by Revenge of The Fans' Matt (the Iceman)! We cover everything in the world of television. Star Wars: The Clone Wars, Titans, Young Justice: Outsiders, the Arrowverse and more! We might accidentally spoiled all of these shows so you've been warned. Katie, Landon, and Michael talk about the latest Star Wars Episode IX press release! Featuring our special guest, Matt from Revenge of the Fans. San Diego Comic-Con have wrapped up! Katie, Isak, Markus, John, Michael, and Landon discuss all the news. In part 1 we cover everything in film. DC's animated films, Aquaman, Shazam!, Glass and more! In episode 6 of the WOBAM Entertainment Podcast; Landon, Katie, and Michael discuss the latest seasons of the Arrowverse shows. The Flash, Supergirl, Arrow, Legends of Tomorrow, and Black Lightning all get the spotlight (plus Riverdale for some reason). Is Katie a Kenny Rogers hero? Will Black Lightning ever crossover with the other shows? Tune in to find out! 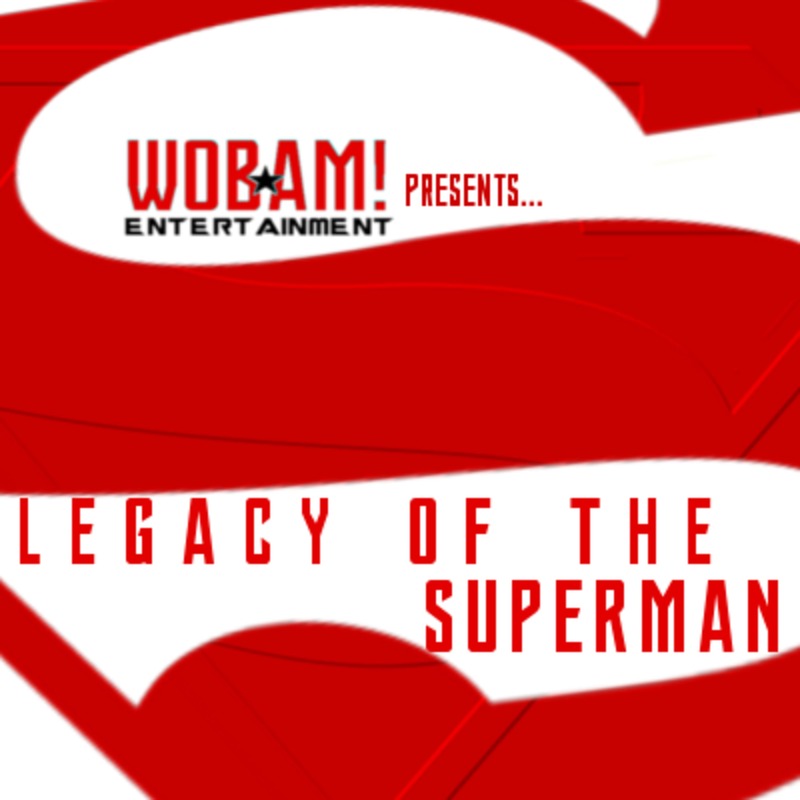 Featuring special guest: WOBAM Entertainment's Editor-in-Chief, Paul Romano.